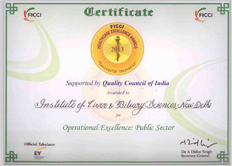 Institute of Liver and Biliary Sciences, India’s first NABH and NABL accredited autonomous super speciality institute, has bagged the coveted FICCI Healthcare Excellence Award in Operational Excellence in “Public Hospitals” category for the year 2013. The FICCI Healthcare Excellence awards are the first of their kind to recognize and felicitate health care providers (public or private) who have successfully used innovation to increase efficiency and improve performance of the healthcare delivery at large. The awards are given across four categories: Operational excellence, Addressing industry issues, People who moved the needle and Special Jury award. 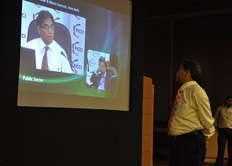 In a short span of time the FICCI awards have emerged as the most credible and coveted in the industry. This year, the awards were given at a gala event held at the Le Meridien, New Delhi on Monday, 2nd September.